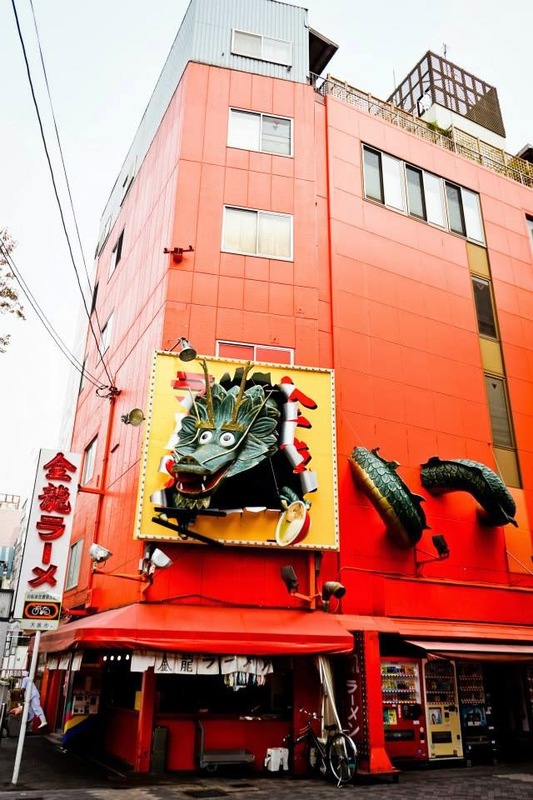 Kinryu Ramen in Osaka is hard to miss with it colour red building and a gigantic green dragon on its roof. 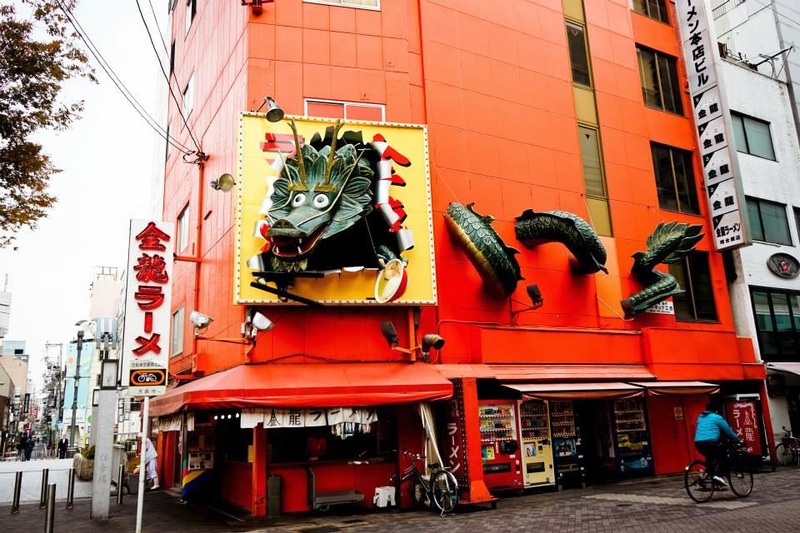 Kinryu, which stands for "Golden Dragon" serves Kyushu-style tonkatsu (pork) broth ramen and is a well-known landmark along Dotonbori. 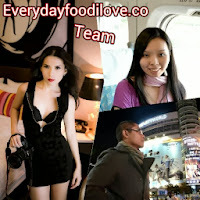 Kinryu is open 24hours a day, sometimes only one staff is manning the stall and it was self-service restaurant. 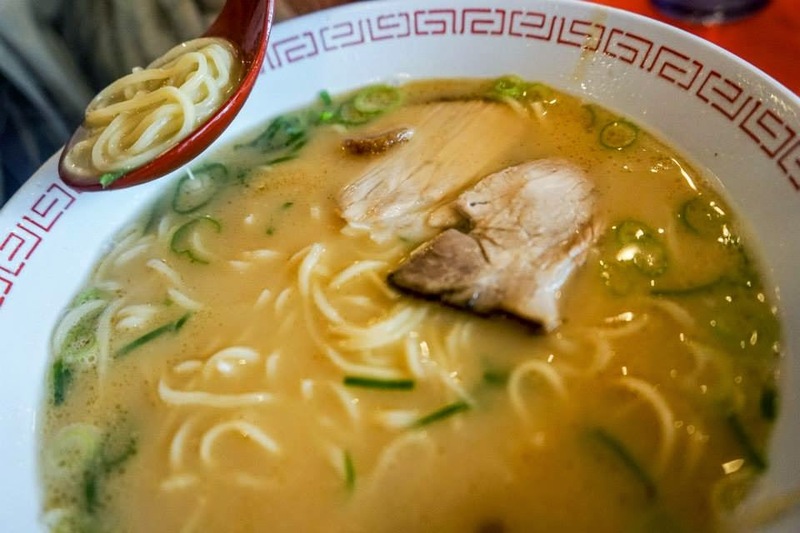 For this economical restaurants, you have to pay for your ramen at the vending machine in front of the shop, with only 2 choices - standard ramen (600 Yen) and with more pork slices. 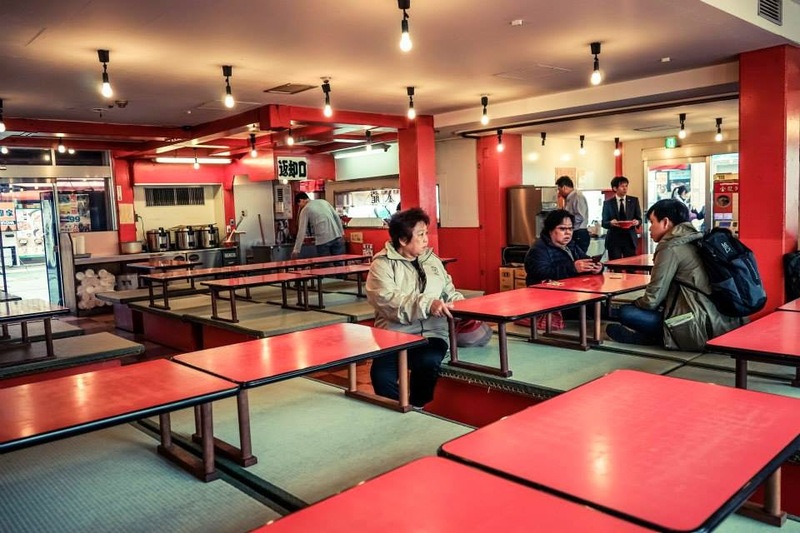 Then hand your order tickets to the staff, take you queue number and find a seat at the tatami-mat platforms surrounding the open air kitchen and wait for your ramen. 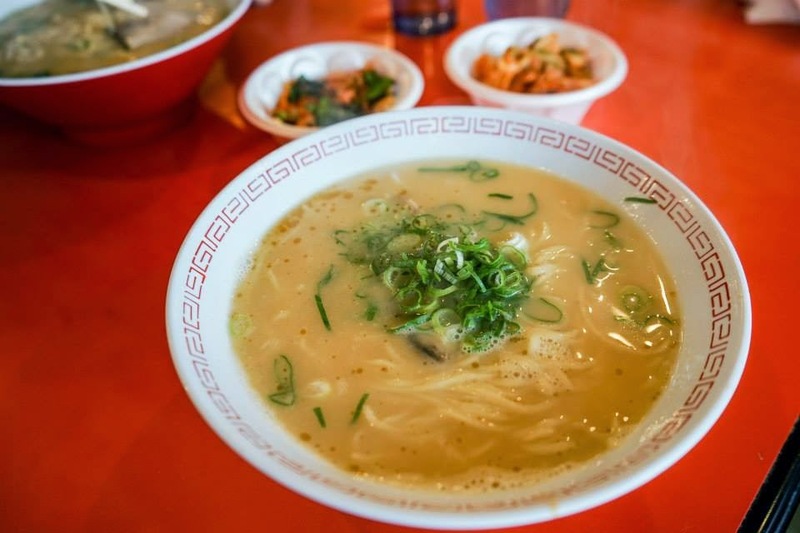 The highlight was the broth which was so thick and savoury and fragrant. 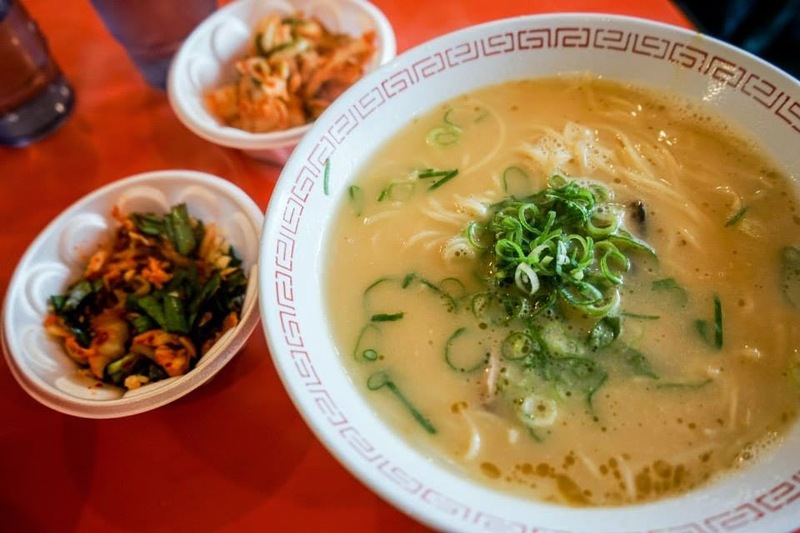 The ramen was springy and the pork, though not the most tender and melt-in-your-mouth. 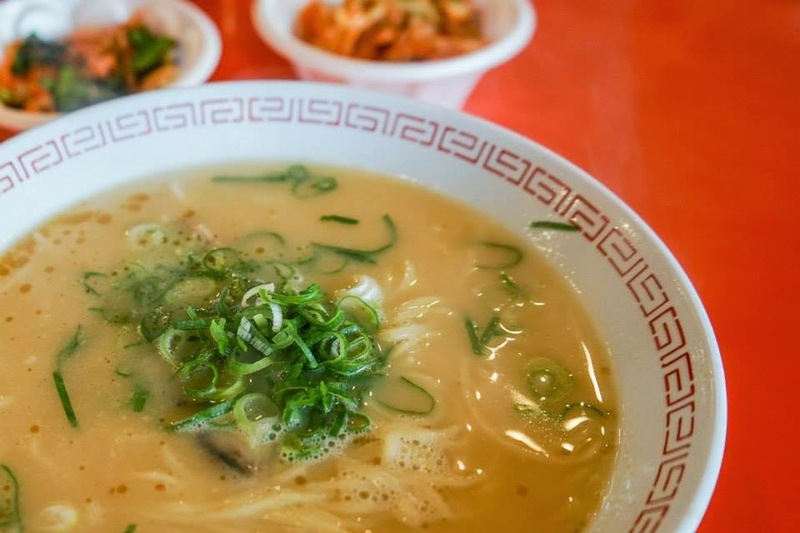 The house kimchi gave the ramen a special taste, when added to your bowl of noodle.